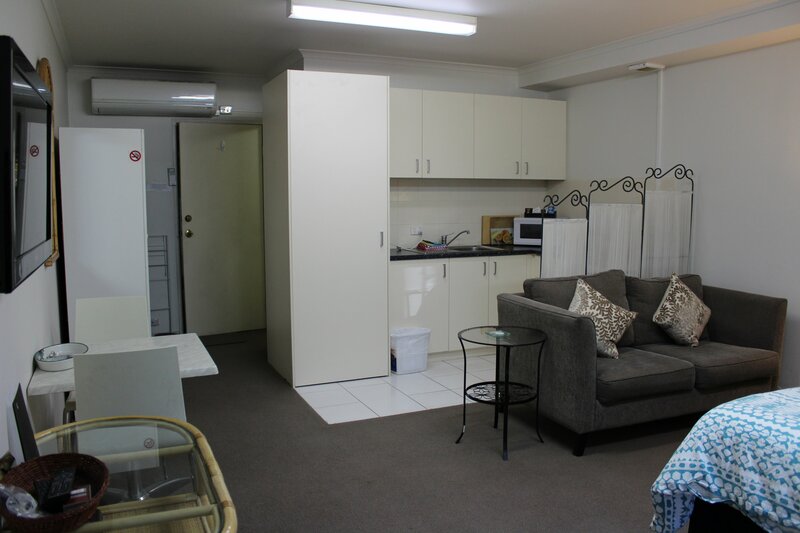 Box Hill Studios at Canterbury Gardens are neatly presented singlestory studioapartments. Entry is directly from Canterbury Rd. Theyare part of a secure apartment complex in the EasternSuburbs of Melbourne&only minutes walk from local shops & public transport. Box Hill Studios at Canterbury Gardens have 1marked parking spacedirectly outside the back doorin a secure undercover car park. Theopen plan area has areverse cycleair conditioner, flat screen TV, dining table, queen bed, small kitchenette & continental laundry with washing machine & clothes drier. 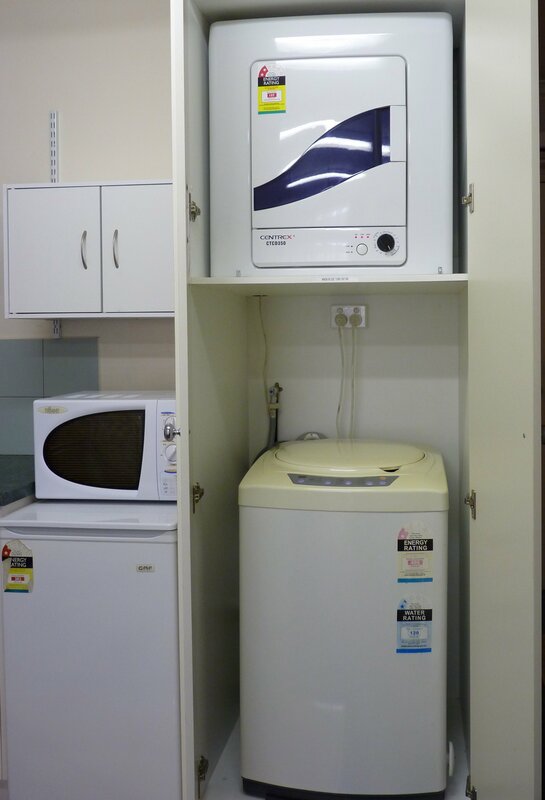 An induction hotplate, microwave, fridge and toaster are provided.The separate bathroom has a shower, toilet & hand basin.A starter back of toilet paper, detergent, washing powder, tea, coffee & milk is provided, as well as 1 set of towels per person. Daily or weekly service is available at an additional cost. Box Hill Studios at Canterbury Gardens have easy car and public transport access to Melbourne Central Business District (12 km), Hawthorn, Kew, Brighton, Box Hill, Doncaster, Ringwood, Bayswater & Waverley.The shops, trams &Box Hill train station are all within walking distance from the apartment complex or are only a quick bus trip away. You can walk to parklands & an excellentSwimming Centre.Itis only a short drive to the Melbourne City attractions. You can easily reach the Yarra Valley Wine District and the Dandenong Ranges, Phillip Island, beaches and food of the Mornington Peninsula. There are many local shops & restaurants nearby as well as a large fresh fruit and produce market. Box Hill Central Shopping Center is renowned for its Asian food and Doncaster Shoppingtown is only 5 km away. A large number of quality public & top-of-the-list private schools are nearby such as Box Hill High, Kingswood & Sion Colleges. It is only a short train or tram ride to the excellent private schools located in the inner east such as MLC, Trinity, Scotch, Genazzano, Fintona & Camberwell Grammar. Box Hill TAFE,Swinburne & Deakin universities are also close by and Monash, Melbourne and RMIT easily reached by public transport. Box Hill Hospital & Epworth Eastern Medical Centre are only a few minutes drive away. 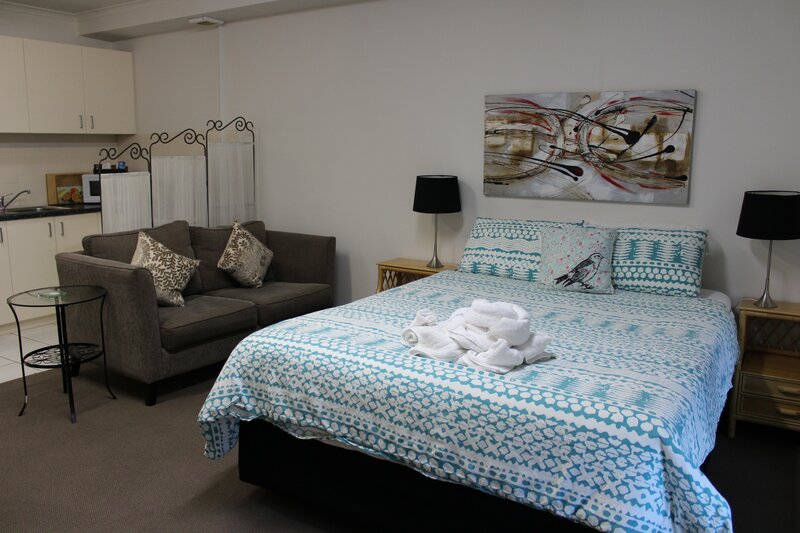 Box Hill Studios at Canterbury Gardens arean ideal alternative to formal hotel/motel style accommodation. They aresuitable for business traveller's, tourists or couplesas an affordable short stay accommodation option in eastern Melbourne. 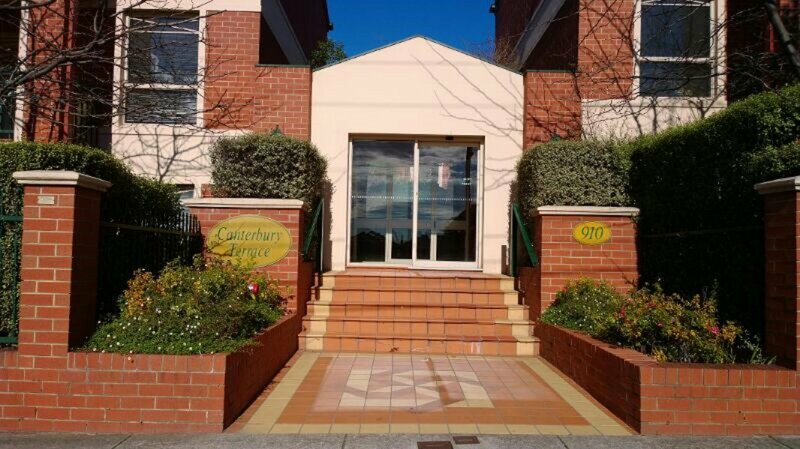 Accommodation Studio 910 Canterbury Road Box Hill. Closest intersection Canterbury Rd & Station St. No reception on site. Self check in AFTER 3pm. Garage remotes are either on keys or on the bench inside the unit. Enter green gate marked suite # directly off Canterbury Road. 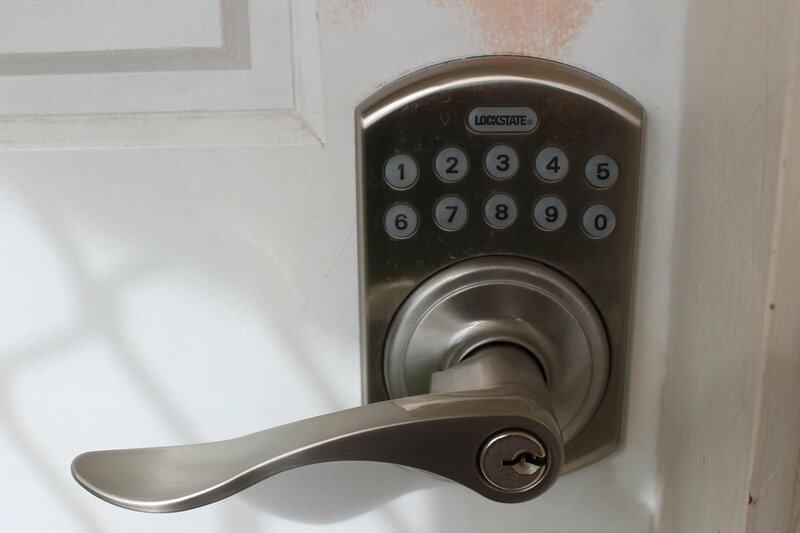 Security keypad is on front door. Key in the code , press the Lockstate button on top. Door will unlock after few seconds. Box Hill Studios at Canterbury Gardens have easy car and public transport access to Melbourne Central Business District (12 km), Hawthorn, Kew, Brighton, Box Hill, Doncaster, Ringwood, Bayswater & Waverley.The shops, trams &Box Hill train station are all within walking distance from the apartment complex or are only a quick bus trip away. 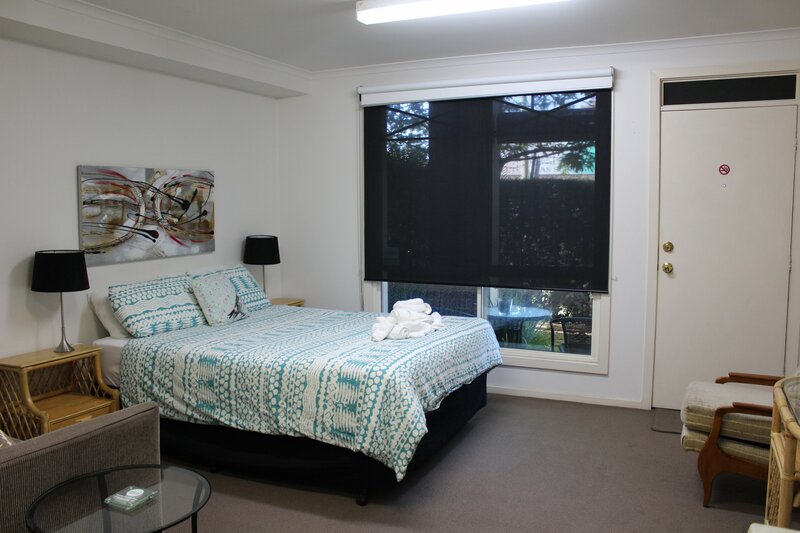 You can walk to parklands & an excellentSwimming Centre.Itis only a short drive to the Melbourne City attractions. You can easily reach the Yarra Valley Wine District and the Dandenong Ranges, PhillipIsland, beaches and food of the Mornington Peninsula. 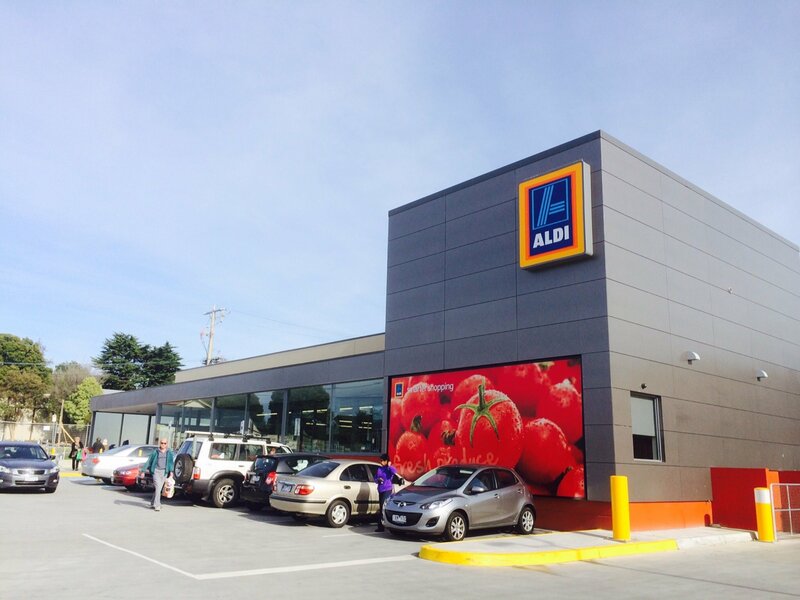 There are many local shops & restaurants nearby as well as a large fresh fruit and produce market. Box Hill Central Shopping Centre is renowned for its Asian food. TheglamorousDoncaster Shoppingtown Retail and Cinema complex is only 5 km away. A large number of quality public & top-of-the-list private schools are nearby such as Box Hill High, Kingswood & Sion Colleges. It is only a short train or tram ride to the excellent private schools located in the inner east such as MLC, Trinity, Scotch, Genazzano, Fintona & Camberwell Grammar. Box Hill TAFE,Swinburne & Deakin universities are also close by, and Monash, Melbourne and RMIT easily reached by public transport. Box Hill Hospital & Epworth Eastern Medical Centre are only a few minutes drive away.